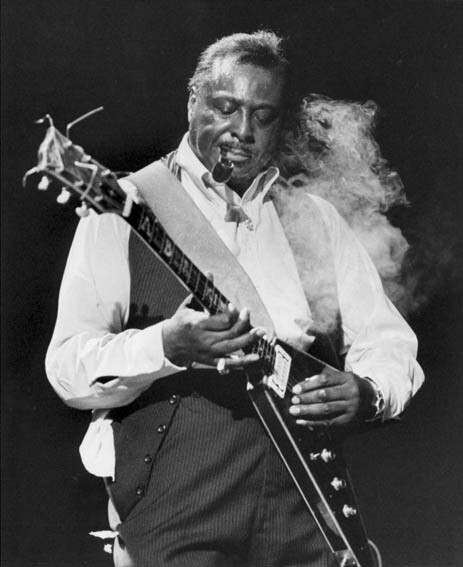 Albert King was an American blues guitarist and singer, and a major influence in the world of blues guitar playing. One of the "Four Kings of the Blues Guitar" (along with B.B. King, Freddie King and Earl King), King stood 6 ft 4 in and weighed 250 pounds and was known as "The Velvet Bulldozer". One of 13 children, King grew up picking cotton on plantations near Forrest City, Arkansas, where the family moved when he was eight. He briefly played drums for Jimmy Reed's band and on several early Reed recordings.